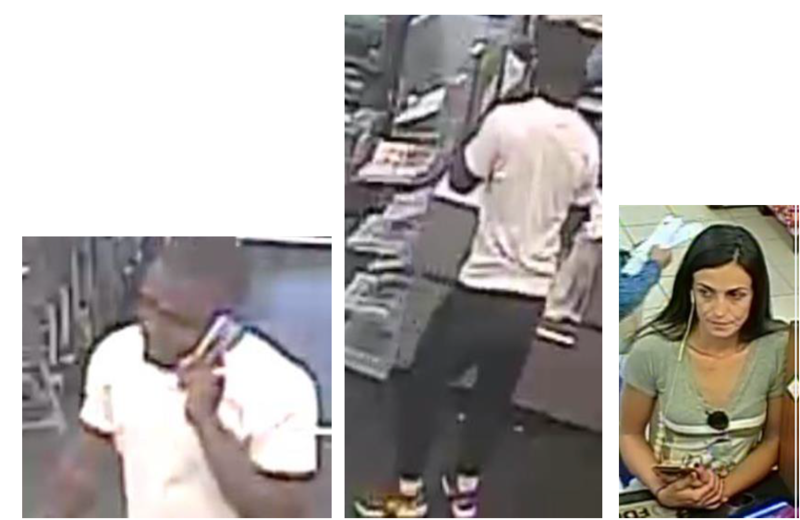 The Palm Beach County Sheriff’s Office is seeking the public’s assistance identifying suspects wanted for fraudulent use of credit cards and bank checks. An unknown male was captured on surveillance video using the victim’s stolen credit cards at Walgreens and Publix in Lantana. The unknown female was captured on surveillance video cashing the victim’s stolen bank checks in West Boca Raton. These incidents occurred on December 28, 2018 and December 31, 2018.